Today is day two of our eleven day countdown to Belle Isles’ Shiver on the River, and today I bring to you the Nancy Brown Peace Carillon. 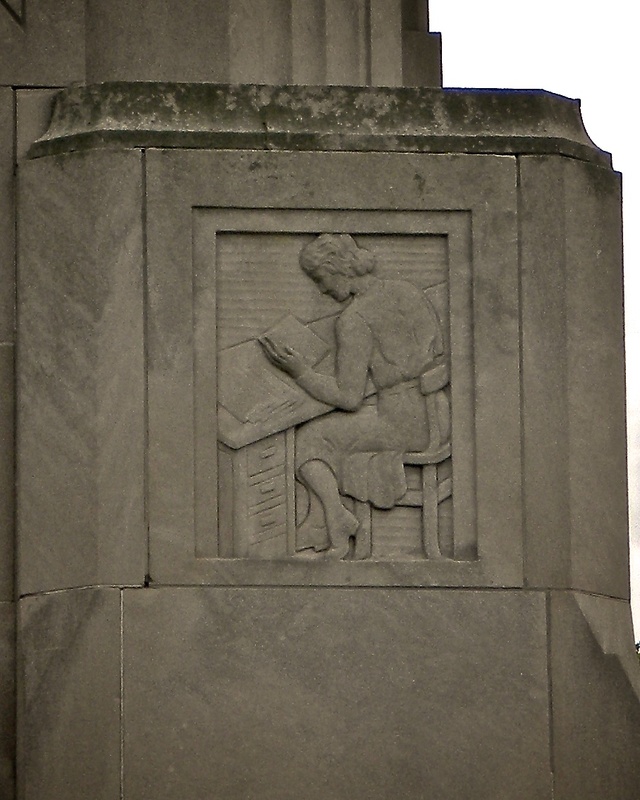 Nancy Brown was the pen name of a Detroit News columnist who wrote the Experience Column from 1919 to January of 1942. Her real name was Annie Louise Brown. She was extremely influential in her 23 years of her column – in 1930 she suggested that her readers come to the DIA to see some art she had written about… and it’s estimated that about 35,000 to 100,000 people showed up. In a 1995 article in the Detroit News, writer Kay Houston commented, “It was the greatest party Detroit ever had.” Following this flood of interest at the DIA, a fund was created by her readers for future art purchases. 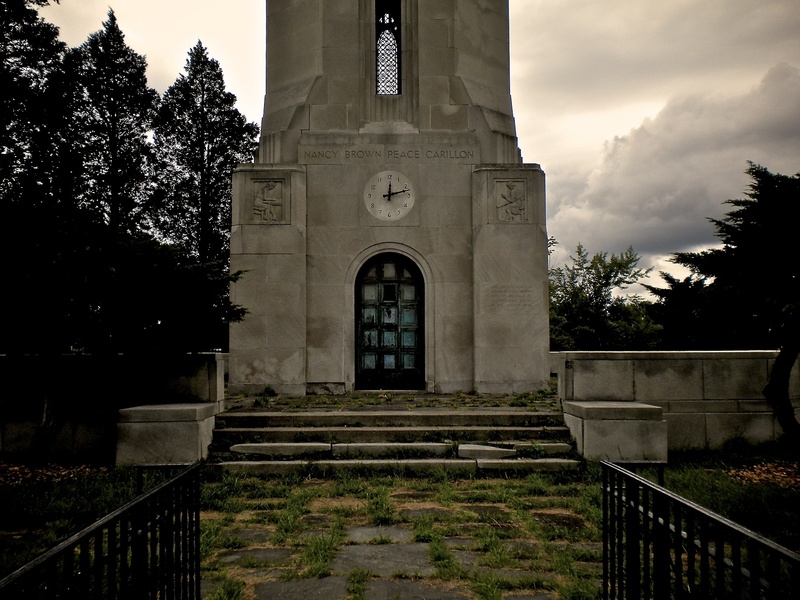 The concept of the Peace Carillon was born from a reader who suggested that a sunrise service be held on the island. In 1934, Nancy promoted this idea, again drawing a huge crowd. This time there was a crowd of about 30,000-50,000 people. 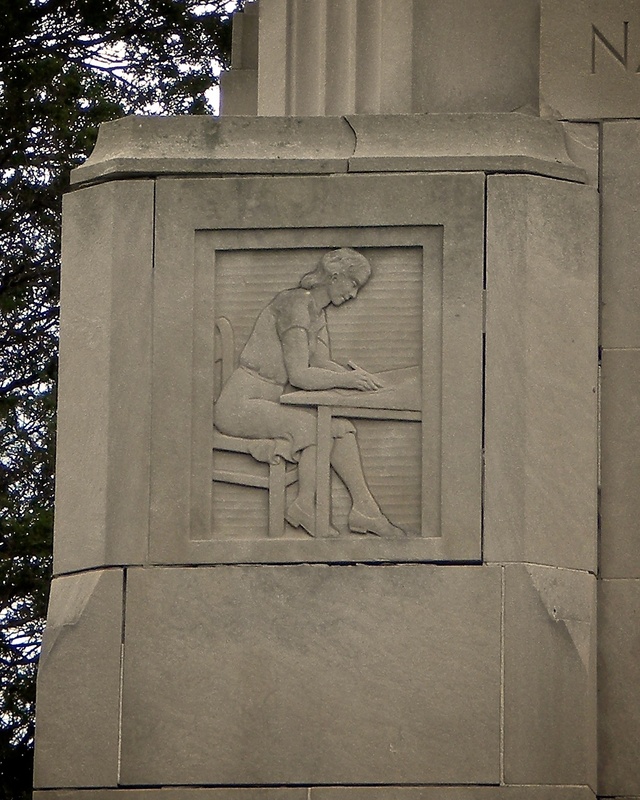 It was built by dedicated readers who sent in nickels and dimes through her fundraiser and dedicated in 1940. 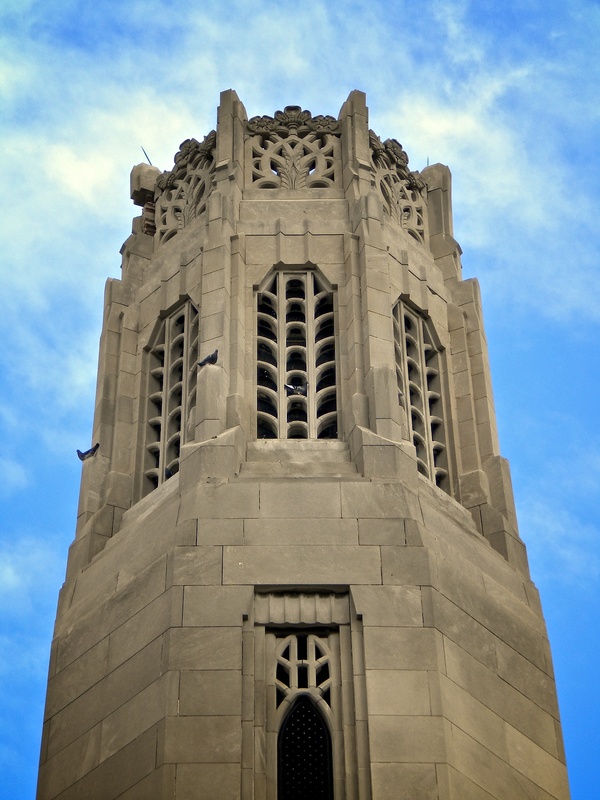 The architect who designed the Carillon, Clarence Day, was a member of Harley, Ellington and Day. The architectural firm still operates today under the name Harley Ellis Devereaux and is located in Southfield, Michigan. Day designed this beautiful neo-Gothic structure with some hints of Art Deco ornamentation, with some great sculptural panels. There were two on each side until vandals stole a panel from the backside. For nearly 23 years now you and I have worked and played shoulder to shoulder. We have sat by Column fireside together and discussed every subject under the sun–gay, lively discussions oftimes–oftimes grave and serious–sometimes sad–but always, whatever the discussion, in friendly spirit. We have had our activities too. We have planted our forests, jammed the Art Institute at our historic party, presented our paintings, shared concerts with our symphony orchestra, given our Sunrise Services, publicized our books, held our bazaars, helped our Civic Opera, shared relief work with the Red Cross, shared food funds, Goodfellow funds, and carried on our own considerable fund through all the years for needy Column children. 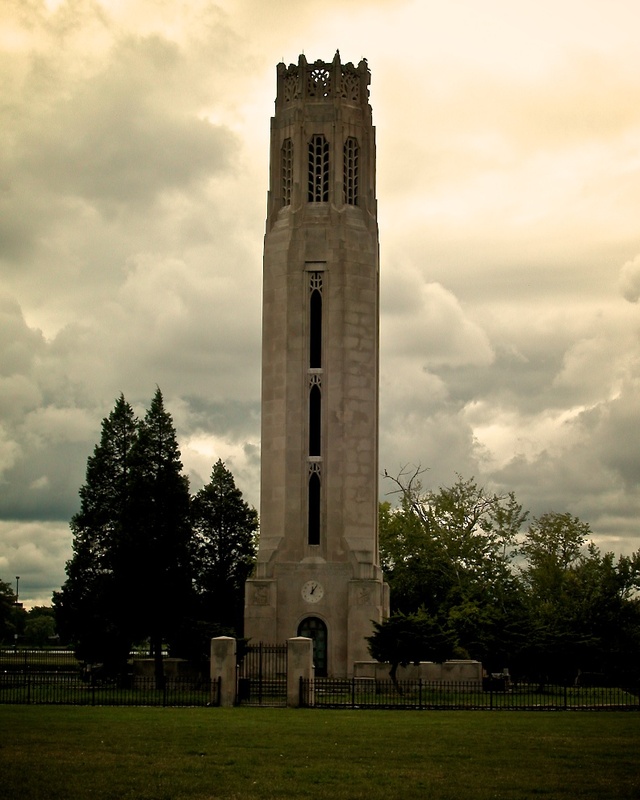 And last and greatest of all, have completed the construction and payment of our Carillon Peace Tower. All these we have shared together with equal, loyal effort. Neither could have accomplished them alone. My years have been happy years, happy for me and I hope for you.